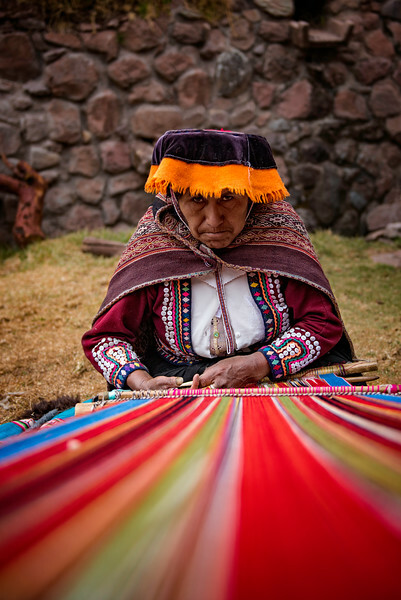 This Peruvian weaver was photographed weaving Alpaca wool by Calgary Alberta photographer Dats Photography, during Dean's vacation after his participation in an Optical Mission in Lima Peru. During the Optical Mission we helped three thousand Peruvians with eye exams and eyeglasses. Dat's Photography donates fifty percent of all sales of photos to fund a new Optical mission to a developing country.